Like everything else they do, when celebrities have babies, they spare no expense. In the world of star tots, there are definitely no dilapidated hand-me-down strollers or tie-dyed onesies (to mask the stains of the baby who previously wore them). This hallowed land includes things like strollers that cost upwards of a thousand dollars, cribs that look too fancy for an actual baby to sleep in, and magical detachable car seats that double as stroller tops, because—why not? If you have the dough, might as well make sure your kid is as comfortable as you are. We suppose. 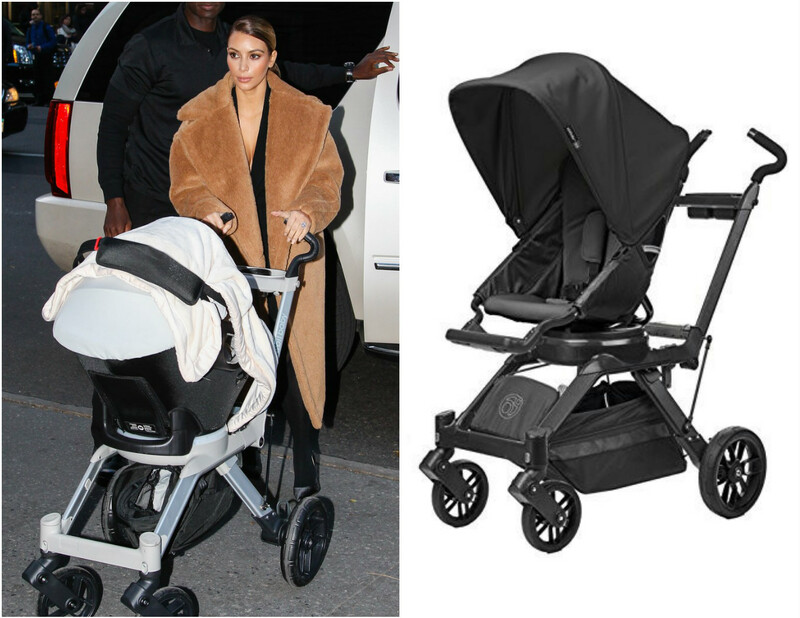 We discovered that there is one stroller in particular that celebs favor—Kim Kardashian, Kourtney Kardashian, Chrissy Teigen, and Jennifer Garner have all been spotted pushing babies in it, among other stars. 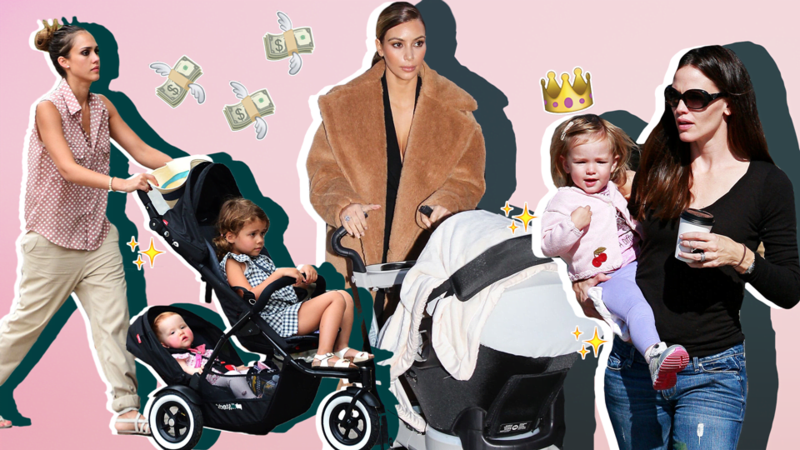 Sure, it’s probably not realistic to make like a Kardashian and drop your rent on a baby carriage, but we can all dream (or roll our eyes, depending on your stance). Ahead, find our favorite baby gear of the rich and tiny. 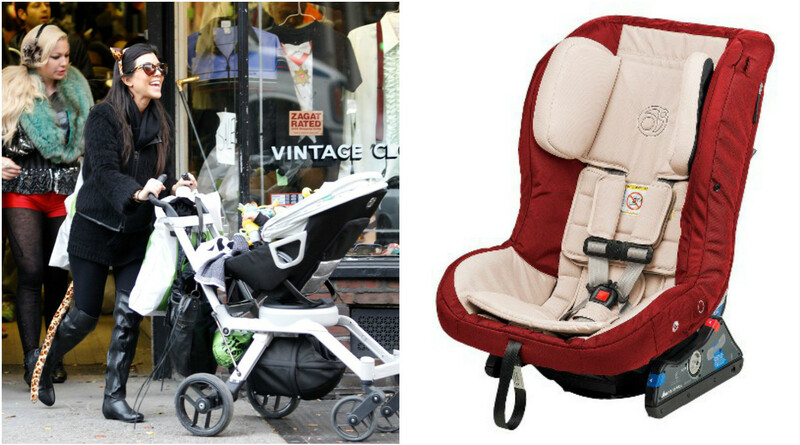 The Kardashians love their Orbit Baby strollers, which are basically carseats attached to sturdy bases. You can pop the seat out of its legs for an easy into-the-car, out-of-the-car experience. And the seat connects to the base on a 360-degree swivel, so the baby can face in or out—and recline or sit up. 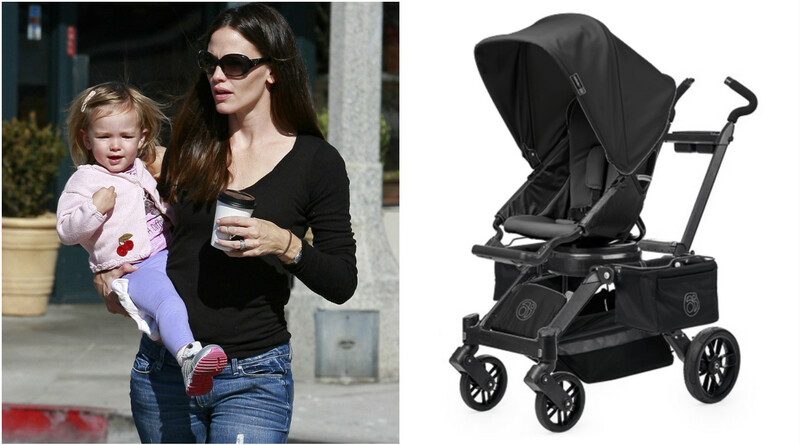 Here’s the Orbit Baby stroller once again, this time toting baby Reign around in style. Kourtney looks legit stoked to be pushing that futuristic baby carriage. Yet another G3 subscriber. 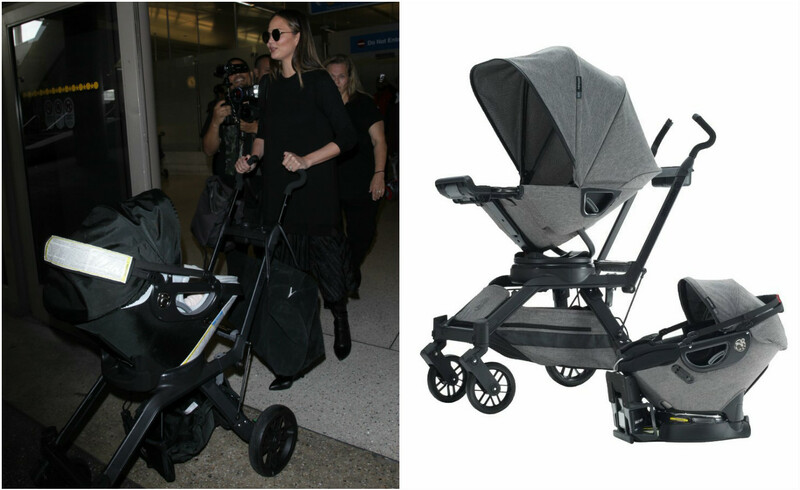 Here, Teigen pushes baby Luna in her luxe stroller while rolling up at LAX. Having two young girls didn’t stop Alba from jetting around town—she just strapped them into this condo-complex of a stroller and went along her merry way. Alba also ponied up for a fancy NursuryWorks crib, People reported, which looks like it belongs in a museum. When her tots were babies, J.Lo enlisted Hollywood baby shop Petit Tresor’s experts to decorate, according to People. The kiddos slept in elegant Bratt Decor cribs, while their parents (Lopez and her ex Marc Anthony) relaxed in chairs known as Glam Gliders. 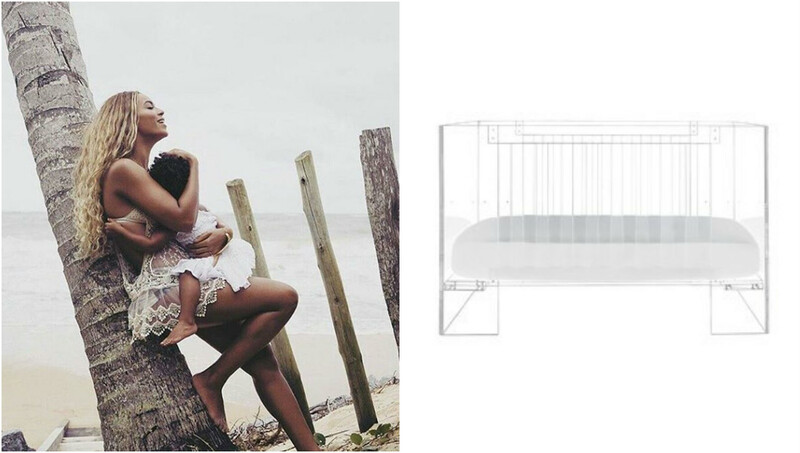 Blue’s crib looked more like a ghost ship and less like an actual sleeping compartment. It also resembled a spaceship. Aaand to round things out, Zoe memorably tweeted that she procured Skyler his first monogrammed Vuitton bag when he was still a baby. She also pushed him around in a Missoni-printed stroller, Us Weekly reported.